I’ve been saying that since 1999 now, which is around the time my son Tanner was diagnosed by SLPs with oral as well as verbal apraxia and also diagnosed by a pediatric neurologist and developmental pediatrician with motor deficits, sensory processing disorder, hypotonia. 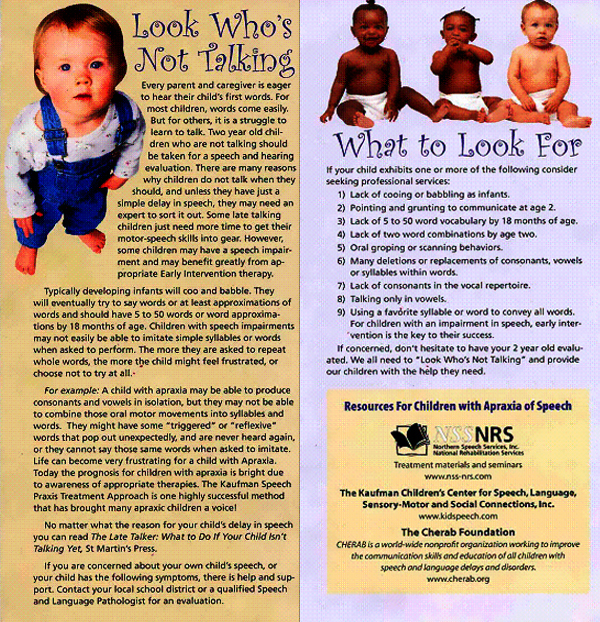 While verbal apraxia is rare, oral apraxia is a rare disorder within a rare disorder. My son didn’t just have to learn how to talk, but he even had to learn how to smile. I felt so alone. Tanner’s Early Intervention Speech Therapist knew that I felt alone an encouraged me to start a support group. I was told apraxia was rare, but kind of figured it out since at that time the largest international membership group for apraxia, an Internet group, only had about 1,500 members. Because I sometimes assist in the challenged community, I know the founder of the Sarcoidosis Foundation, Sandra Conroy (an amazing lady with an amazing story). Sarcoidosis is rare, but within three years, Sandra’s registry had a membership of over 30,000 patients. One of my objectives was to find friends for my son, Tanner, and I was happy when, a month later, I met Sue Kanarek, who had a little boy recently (mis)diagnosed with apraxia. Two months after that, when Tanner started Early Intervention through the school, I met Lynette Pearson, who had a little boy with “dyspraxia, not apraxia” (she later found out they are the same), who asked if she could help with our support group. The Star-Ledger article was read by Stefanie Linzer, a producer from Inside Edition and I was asked to have my son Tanner featured on the segment. I didn’t think the public would care about a 3-year-old who wasn’t talking, so I sought out teens and young adults to be part of the segment. Our meetings were standing room only by this point as you can see in this segment. Some people would drive 6 hours one way just to attend. Now on my own running the first nonprofit, our group size “qua-zippled,” and I became slightly overwhelmed. We started having meetings at St Barnabas medical system in addition to Children’s Specialized Hospital. I was thankful that SLP Cheryl Johnson and other professionals now on our advisory board as well as more parents got involved and helped us to grow and expand even more so that we were able to help so many more. 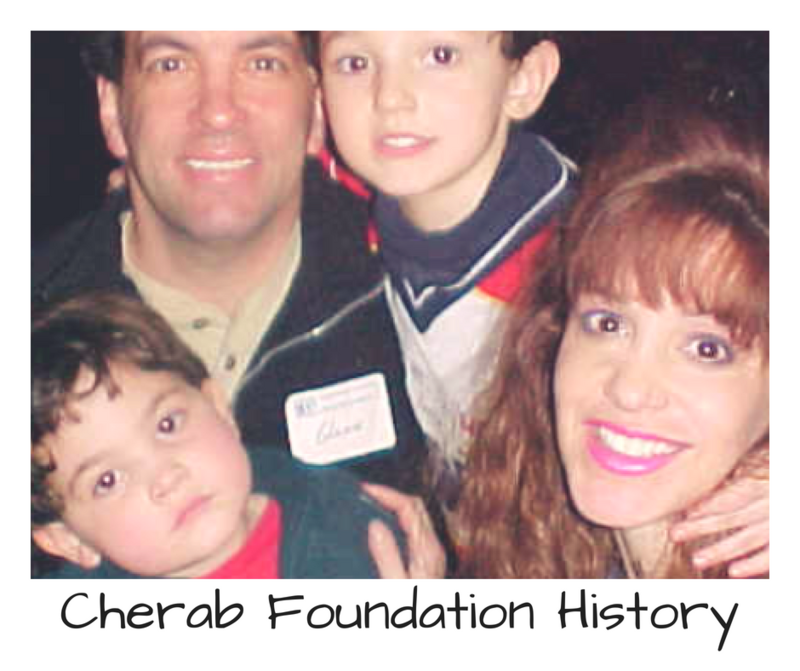 But then I started a new nonprofit and changed the name to CHERAB -to honor my son Tanner and expand beyond children. Why is CHERAB spelled with an A? I discovered fish oils pretty early on, within the first year of Tanner’s diagnosis, and his story is in Dr. Stordy’s book The LCP Solution; The Lellow Breakthrough and then realizing how much help was needed as I kept getting the same questions over an over from new parents, I contacted Malcolm Nicholl one of the co-authors of The LCP Solution with Dr. Stordy to write The Late Talker book with me. Feeling a need for a medical perspective we invited in one of Tanner’s many doctors. The Late Talker book became a reality published by St Martin’s Press. The nonprofit ran smoothly for years as a grassroots, 100 percent volunteer-based organization and our outreach grew to just about all areas of the globe. Our private group on Yahoo reached about 10 thousand members, but when the changed their format a few years ago we moved our groups over to Facebook where we have our main support group and many others including one for teens and young adults, one for grandparents and others. Even though we had 501c3 status, our focus was never on donations, so when we found out that without money there would be no research our focus shifted. The more I learned about fish oils and how they helped my son and others, the more fascinated I was with nutrition. I started the blog Pursuit of Research blog and here is the history behind why. which you can learn more about here. help children on the neurological spectrum who struggle to communicate verbally. Our unique crowdFunnit initiative is a collaboration with first responders, local and national media and the community nationwide to throw birthday parties for children who believe the world hates them. It’s an anti-bullying campaign that helps educate as well as garner friendships with like-minded individuals. We are continuously searching for like-minded partners to help make this dream possible for these children and would love to work with you as our official “card carder.” We successfully solicit the community to send birthday cards to our recipients to the tune of hundreds per individual. Our events which have been hosted across the US have been a proactive way to stamp out bullying while fostering acceptance and compassion of differences. Each event has turned the life around for the party recipient. Here one of the families we helped, William and his mom are interviewed a year after one of our events by the local broadcast media. His party garnered so much publicity and positive support we were over capacity (so more than 1,500 attended) and needed police escorts. The event changed this child’s life. My son Tanner who some professionals told me wouldn’t make it in a mainstream kindergarten class has been a honors student for years and is in college with a goal to be a special education attorney so he can help others like himself. He currently works at Panera Bread part-time. My other son Dakota who was also a late talker (diagnosed with ADHD, CAPD and gifted) graduated from SCAD and is living on the west coast of Florida and working in computer design. Help Give Our Cherubs A Smile And A Voice used to just be for oral and verbal apraxia, today it encompasses so much more. All these children deserve the chance to be happy and pursue their goals and dreams in life, just as my boys are! Lisa Geng got her start as a designer, patented inventor, and creator in the fashion, toy, and film industries, but after the early diagnosis of her young children, he entered the world of nonprofit, pilot studies, and advocacy. As the mother of two “late talkers,” she is the founder and president of the nonprofit CHERAB Foundation, co-author of the acclaimed book, The Late Talker, (St Martin’s Press 2003), and is instrumental in the development of IQed, a patented nutritional composition. Lisa served for years as a parent advocate on an AAN board for vaccines and is a member of CUE through Cochrane US. Lisa is currently working on a second book, The Late Talker Grows Up and serves as a Late Talkers, Silent Voices executive producer. She lives on the Treasure Coast of Florida.